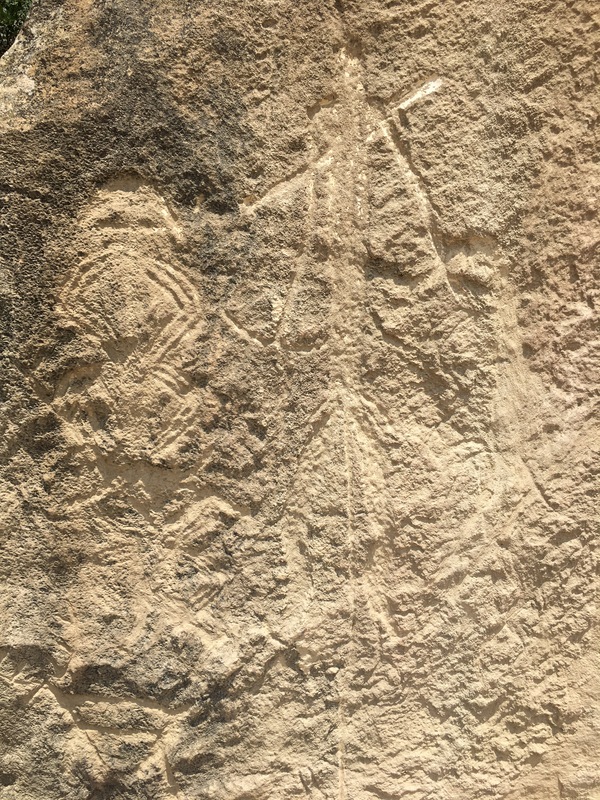 Outside Baku in a site called Gobustan, various carvings on rocks have been found. The Scientists believe the earliest carving in the site is about 40,000 years. I am very psyched about visiting the site. I have been to many ruins, but I had never seen anything from the Paleolithic era. The museum at the bottom of the Big Mountain (Boyukdash) is informative, but I believe it was more interesting for kids. To observe the original rock arts, we went to one site called the Big Mountain. However, the carvings have been found over four table-top mountains. 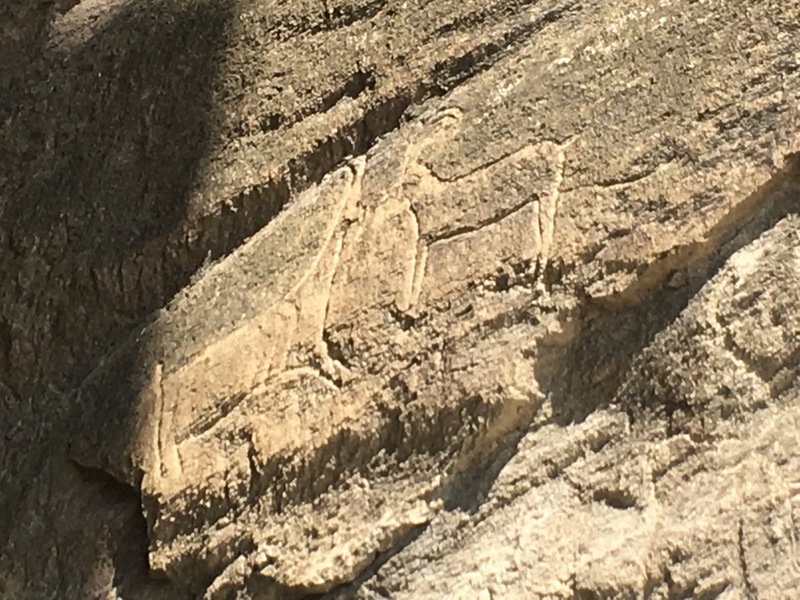 Carvings are mostly of people (men and women – including dancing men and hunters) and of animals (bulls, mountain goats, lions, and camels). These men are now symbols of Gobustan. Gobustan carvings. Left: alien? Right: Hunter. The most interesting carving is of the viking boats. This gives crecedence that the Vikings were Albanians tribes who migrated North. 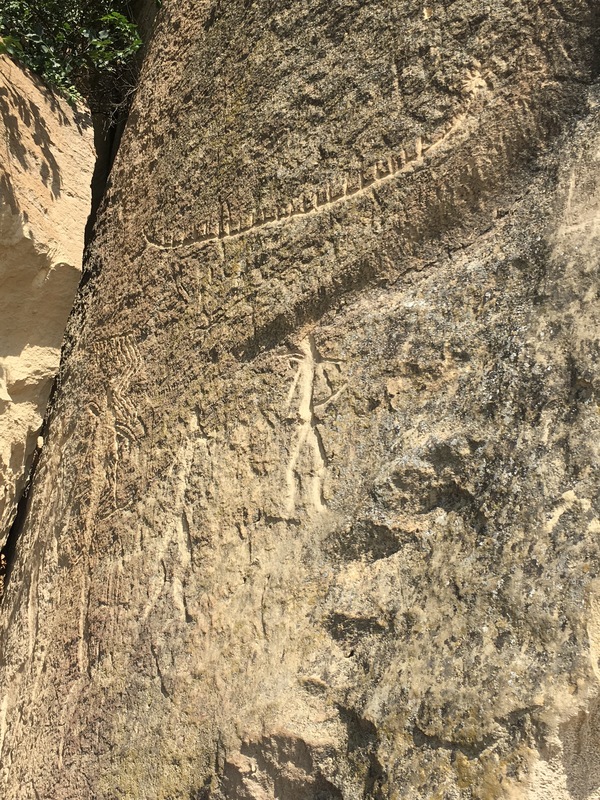 Carvings of men and Viking boats in Gobustan. 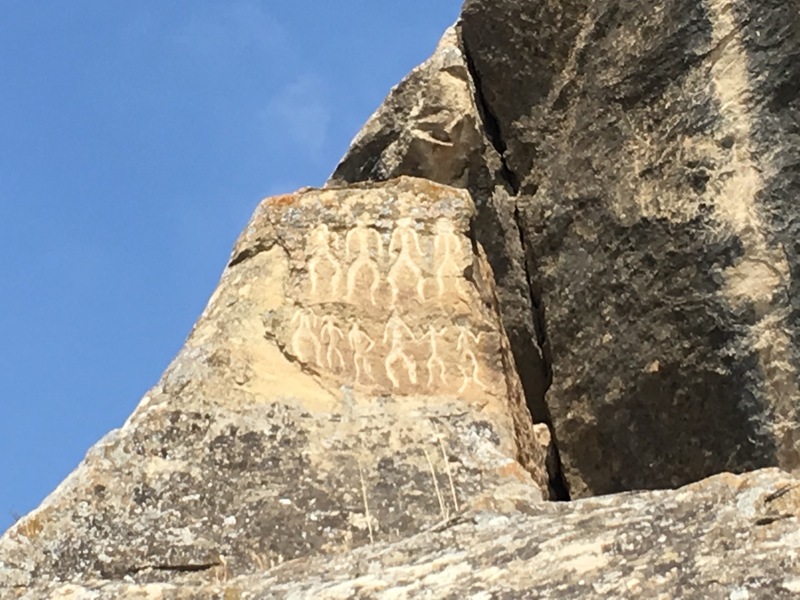 Carvings of Mountain Goats in Gobustan. Gobustan is a site worth visiting, especially for children. Love rock art! Thanks for sharing.